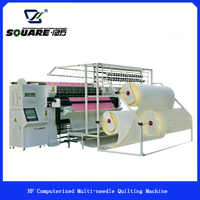 The machine is to quilt the mattress fabric with the sponge into various beautiful pattern for the mattresses. 1.Adopt the imported linear guider, sewing head moving with high efficiency but lower vibration noise. Max sewing speed is 300 rpm. Improve working efficiency 20-25%. Easy worn parts of sewing head free of oil, good for machine maintenance. Auto adjust the hook position will stock in computer memory. Configuration auto trimming and lubrication. Industrila computer update, system more stable. 2. Main axis adopt the electronic system, X and Y direction adopt the stepper drive system. 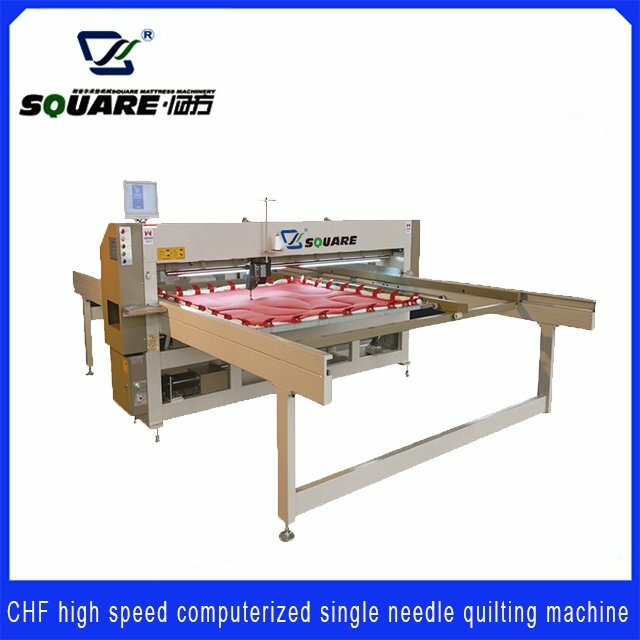 Using new industrial control board, USB flash disk will be useful to reset or coy the designs in software, Sewing head provide the moving pressure equipment, quilting process will be stable and smoothly. 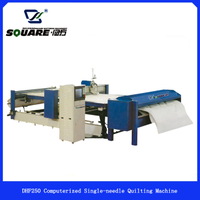 Adopt single head, single needle, lock stitch and bigh rotary hook. Upper thread detection is available, machine will auto stop when its open. Press F3 of keyboard could open or close this function. 3. It has more than 200 different kinds of designs in stock, Customer could copy the design from USB flash disk. Through pattern management, could chek, copy or delete the pattern. It has pattern browse function. Could read dst, dat, emb etc design format, could rotate and mirror the pattern.